In our today's edition of Callexa Feedback Integration series we want to introduce the service SharpSpring closer. With the integration via Zapier it's possible to transfer all your SharpSpring clients to Callexa Feedback and survey them automatically. Following the successful survey, customer satisfaction is determined and evaluated with the help of NPS. After the customer has given his feedback you can publish it quickly and easily on your website to convince new customers of your service. You can find the Callexa Feedback NPS App for Zapier / SharpSpring here. In our today's edition of Callexa Feedback Integration series we want to introduce the service VCita closer. VCita is a free all-in-one business app. Build long-lasting customer relationships with a CRM solution designed exclusively for service provider. 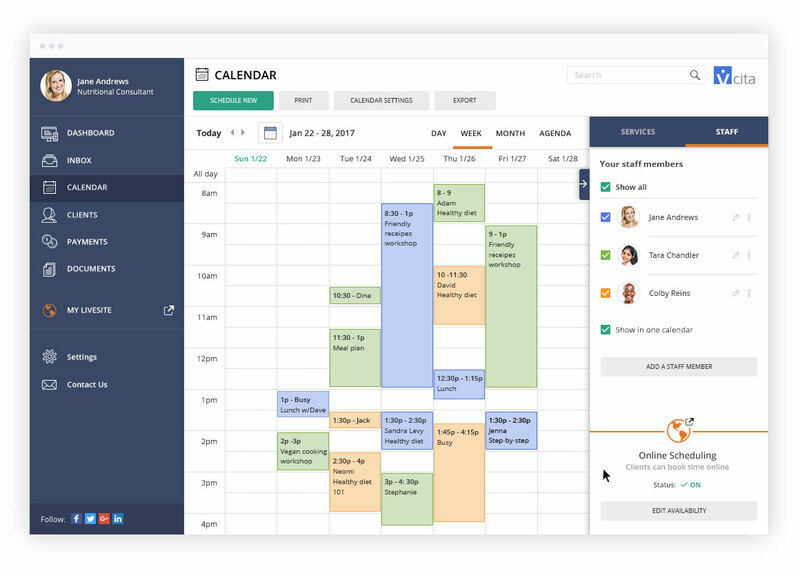 Manage your business schedule, appointments and events, all in-sync with your existing calenda. 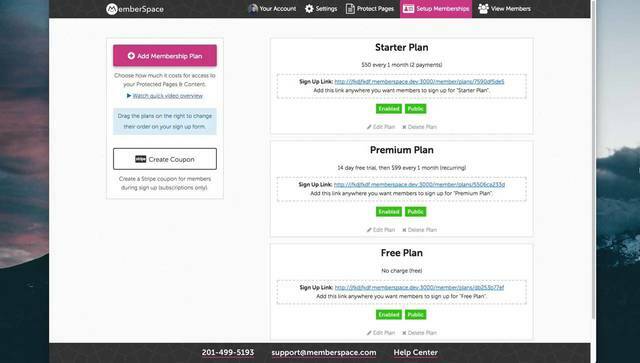 Create and email branded invoices and track your business income with a centralized dashboar. Invite clients to set appointments, book services and register for events & classes online from any devic. 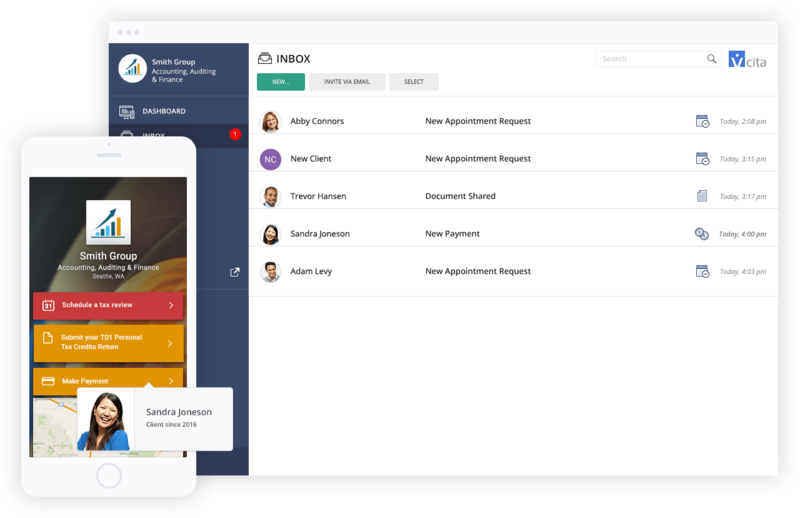 Keep clients engaged with a 24/7 personal client portal where they can book, reschedule, pay, fill forms, share files and more. With Zapier, the integration of Callexa Feedback into VCita can be done easily. With the integration via Zapier it's possible to transfer all your VCita clients to Callexa Feedback and survey them automatically. Following the successful survey, customer satisfaction is determined and evaluated with the help of NPS. After the customer has given his feedback you can publish it quickly and easily on your website to convince new customers of your service. You can find the Callexa Feedback NPS App for Zapier / VCita here.